The foundation for our new home has been set. North America’s first safe standing rail seating is nearly complete on the North End. The SuperDraft is upon us. Our LAFC season is here, and our supporters are ready. Gearing up for our inaugural season, The 3252 toured the Banc of California Stadium Jan. 14, accompanied by LAFC’s newest defender Jordan Harvey, his wife Kim and daughter Harlow. For some of us, this was our first glimpse inside our second Los Angeles home. For all of us, we saw the extensive progress going on within. It’s dusty, with nails scattered all over and rebar projecting from areas that will soon be stairs, but our stadium is progressing upon the foundation we have laid. Safe standing rail seating for supporters is nearly complete, with cup holder installation next on the list. 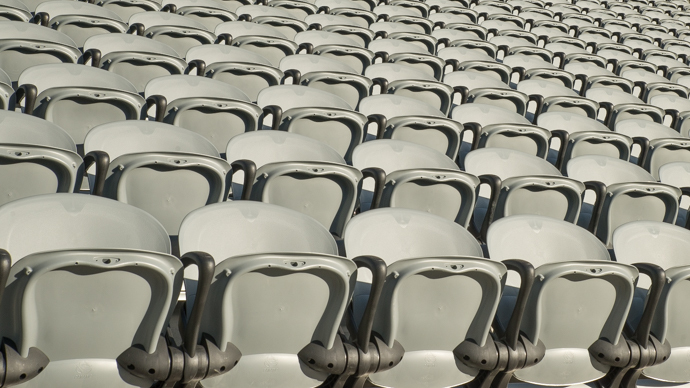 The addition of the safe standing seating makes BOC eligible to host FIFA matches. Seats throughout the stadium are undergoing installation. The 40-foot-wide Panasonic video board on the northwest side is up and covered for weather. The south side 120-foot-wide Panasonic video board is currently being installed and will be the largest LED video board in MLS. The supporters’ bar will feature a scarf wall, trophy cases, art and other 3252 supporters’ items. The closest seats are only 12 feet from the touchline. Every seat will be within 135 feet of the pitch. 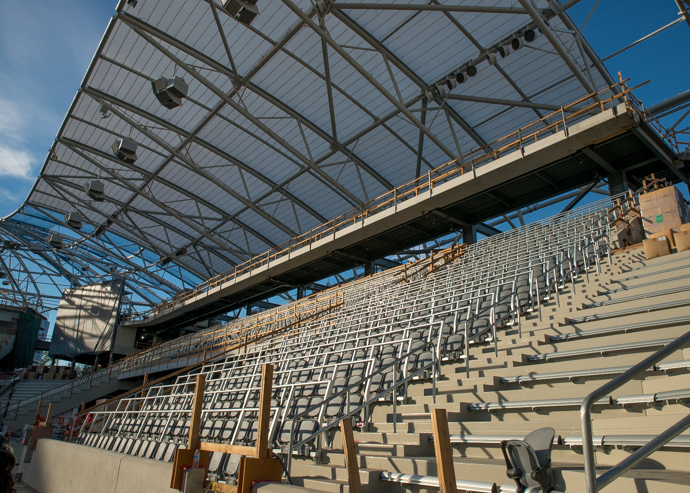 Seating will be among the steepest in MLS, at 34 degrees. BOC is the first open-air stadium built in Los Angeles since Dodger Stadium in 1962. Follow The 3252 Instagram, Facebook and Twitter for information on upcoming Drum and Chant sessions, supporter events, player updates and more. We’re excited to welcome our team to their new home in April!